It was late, and I was at my desk in my library, doing some writing for an upcoming book. Earlier that afternoon, we had taken in three foster children, all boys, ages ten, nine, and seven. As I sat over my keyboard, the sounds of crying wafted through from the nearby bedroom, instantly reminding me of the deep sadness that lay heavy in our house. Silently entering into the boy's room, I found Derrick, the youngest sitting in his bed, with tears streaming down his face. Between heartbroken sobs, he asked me when he could go home. "I want muh Momma," he sobbed. "When kin I go home? I don't wann be here." Matt and Logan were asleep, or at least pretended to be. Once again, all my training as a foster parent failed me, as I could not prevent this boy from experiencing the fear, grief, and sorrow that gripped his small body. Scooping him in my arms, I carried him to the library and sat down next to the pot belly stove. What could I say to him to make him feel better? What could I do to take away his fear and sadness? My heart cried out to him, as I shared his own misery. This poor boy; this scared, lonely, poor boy. Once again, I felt the anger swell inside me; anger that parents could do this to a child, anger that those who were to love him the most had placed him in this situation with their own actions and their own choices. Saying a silent prayer to myself, I then stroked his hair. "I know, Derrick, I know," I whispered to him, wiping the tears that reddened his eyes. Many psychologists state that it is necessary for young children to form a relationship with at least one main parental figure or caregiver in order for the child to develop socially and emotionally. Yet, the removal of a child from his or her home, and placement into another's home through foster care, often makes this difficult, traumatic experience. Often, the removal of a child from a home occurs after a caseworker has gathered evidence and presented this evidence to a court, along with the recommendation that the child be removed. Indeed, most foster care placements are made through the court system. Without a doubt, one of the hardest parts about being a foster parent for me is the emotional turmoil and trauma a child experiences when first placed into our home. The children are often times confused, and full of fear of the unknown. As distressing as this may be for a child, even more traumatic may be the removal from the child's birth home comes without any notification. These emergency removals oftentimes occur late in the evening. As caseworkers remove a child from a home suddenly, most are unprepared. Foster children leave their home with a quick goodbye, leaving behind most of their belongings, with a few clothing and perhaps a prized possession hurriedly stuffed into a plastic bag. Before they know it, they are standing in front of you, strangers, people they have never met before. Against their will, they are in a strange home, their new home. For most, it is a time of fear, a time of uncertainty, a time where even the bravest of children become scared. These children are not bad children, as many may falsely believe. These children are victims of abuse, victims of neglect, victims of abandonment. These children are scared and terrified when placed into a home that is not their own, a family that is a stranger to them. These children are simply trying to survive. Fortunately, there are thousands of loving foster parents across the nation who are willing and ready to open their doors, their homes, and their hearts to them. Maybe you can be that family, too. 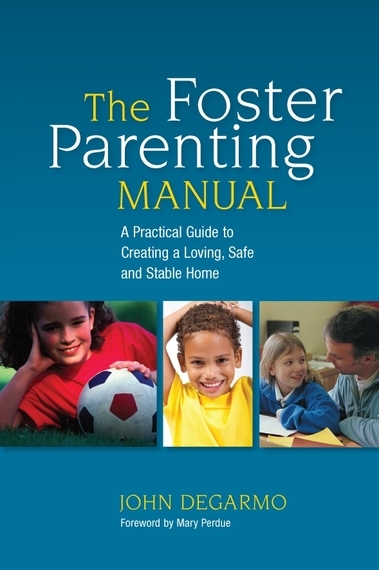 Maybe you could be a foster parent to a child in need. For much more, purchase a copy of The Foster Parenting Manual: A Practical Guide to Creating a Loving, Safe, and Stable Home.